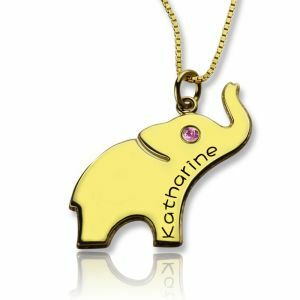 Elephant Lucky Charm Necklace Engraved Name 18k Gold Plated - Elephants are one of the oldest symbols of good luck.Where the good luck elephant necklace yourself, or send this good luck elephant charm necklace to someone you love. 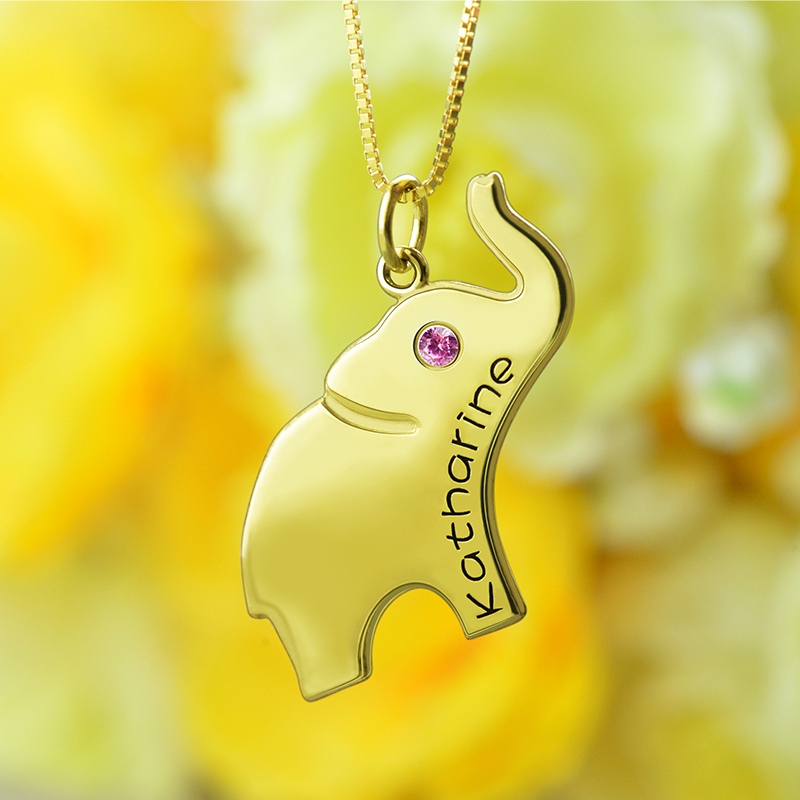 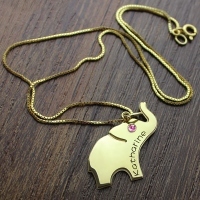 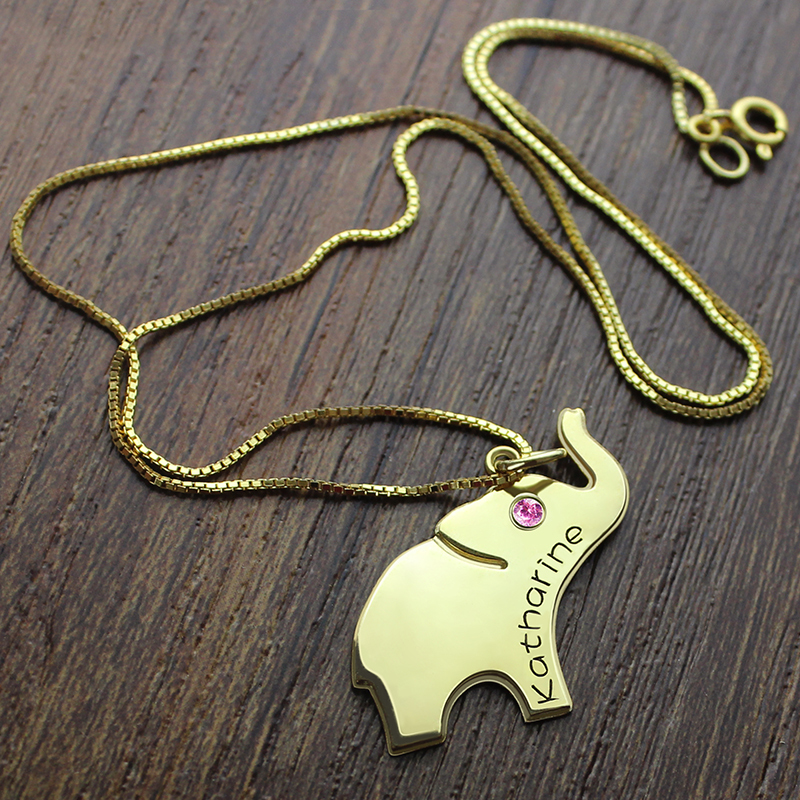 Our charming personalized engraved lucky elephant name necklace is also perfect for the animal lover. 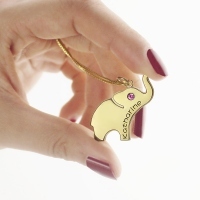 A friendly elephant - trunk up for luck.Just make a wish today with the stylish necklace.